OpenLM is able to record information about the usage of various licenses and allocate them to different company projects. This ability facilitates license allocation according to organizational projects, and can also serve as a mean to effectively charge-back license usage expenses according to these projects. This ability complements OpenLM’s license monitoring capabilities; integrating license usage optimization with Active directory synchronization. The configuration of Project monitoring was shifted from the OpenLM Server configuration tool to the EasyAdmin web application. Administrative capabilities have been added, such as Enabling / Disabling a project, assigning it a priority and expected duration, and marking the project’s completeness percentage. Projects can be introduced by end-users via the OpenLM Agent module. This Application Note describes the feature as implemented in version 2.0 . The Project Usage reporting is available on the EasyAdmin web interface, click OpenLM Start → Reports → Project Usage. Set the filtering options on the left-hand side of the screen, and click the ‘Apply’ button in order to run the usage query. It is also possible to view the report in a chart format, or extract the information to a CSV file and convert it on a spreadsheet software. However, before having any information to report – it is necessary to set up the projects. Follow the instructions below in order to do so. The Projects Settings screen defines the policy of the Project usage monitoring capability. In order to open it, click the OpenLM Start → Administration → Projects. 1. Active project selection by the end user requires the installation of the OpenLM Agent on the end-users’ workstations. 2. When the OpenLM server is configured to employ user permissions, access to this window requires administrative privileges. Check the Log projects information checkbox to start recording license usage information according to projects’ allocation. This setting defines the shortest duration for logging purposes. Shorter periods would be merged together to form significant usage periods. For example, if the minimal duration is set to 5 minutes, and a user has opened the application for only 3 minutes, this usage period will not be accumulated to the current session, but rather merged with the following session. These settings define what the end-users will see on their workstations if they work on more than one project for their organization. If the workers are only allocated to one project in EasyAdmin then OpenLM will log their license usage without the need to take any action when the software is started. 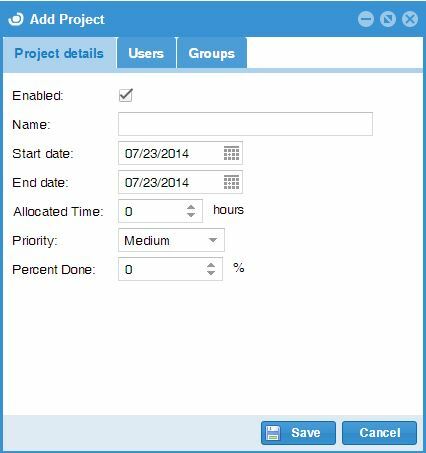 If the users work on more than one project then a dialog box will appear on their screen prompting them to select the current project. 2. Wait for the project selection pop-up to appear and select from there. The difference between the two is that the Set Active Project menu includes all the projects listed in OpenLM, whereas the pop-up menu contain only the project to which the user is assigned. 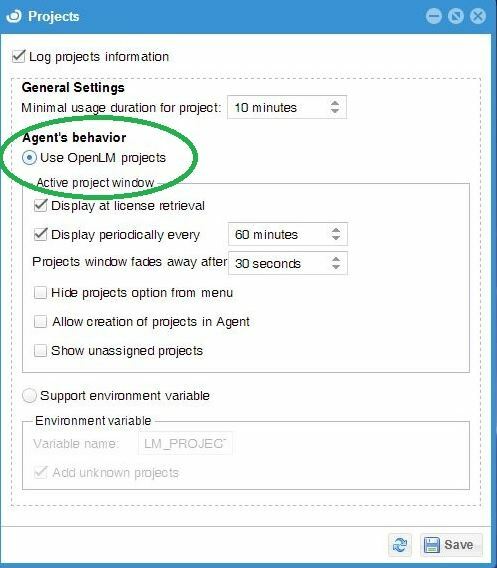 This check box hides the Set Active Project entry in the Agent’s right-click menu. The user will still be able to select a project according to the project selection pop-up menu. 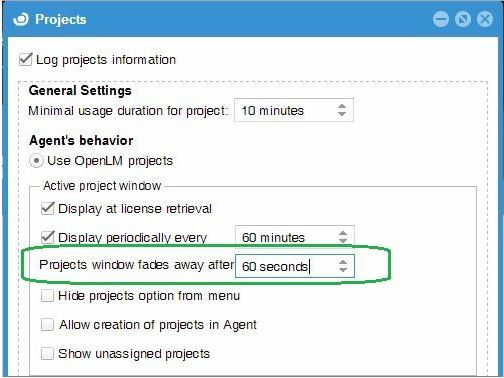 OpenLM enables users to ignore the project dialog box by having it fade away after a predefined number of seconds. The Projects window fades away after setting defines the number of seconds after which it becomes invisible. The OpenLM project management module facilitates project creation via the OpenLM Agent. 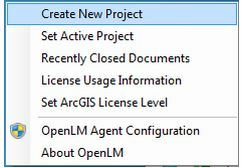 Check this box to enable this option, thus adding the Create New Project menu item in the OpenLM Agent interface (see image below). When an end-user selects this option, the Create New Project window opens. The user then could create new projects and associate themselves to them. Modification of these projects will be possible in EasyAdmin only. The origin of creation of the project will be apparent in the EasyAdmin Projects list window. By default, users can only see projects they are assigned to in the Agent → Set Active Project menu option. Checking this box will produce a list that contains all enabled projects in the system and the user will be able to select any project from this list. The LM_PROJECT env. variable support is a backward-compatibility option, that supports this variable for registering projects. The variable is defined separately for each workstation, so there is no option of overriding its value between users. The environment variable option is disabled by default. It is recommended to use the OpenLM supplied solution, unless backward support of the environment variable option is required. Checked: The unknown project will be set and added to the list of projects. Unchecked (default): The unknown project will not be set. When logging of project information is enabled (see above), work hours need to be assigned to a specific project. When there is only one project – that project will automatically be assigned all the working hours. When there are more than one project – it is up to the end users to report on what project they are currently working. 1. One option for the end user to set the Active project is to right-click the Agent icon, and select the Set Active Project option. 2. Another option for setting the Active project is by a pop-up window. The appearance of this pop-up is configurable by options in the Projects window, which was mentioned above. The default option is to prompt the worker to select the project when retrieving a license. This is a very useful way to ensure accurate logging of the project information, therefore the recommended setting is to leave the checkbox turned on. Users may start to work on one project, and then switch to a different one, without changing the Active Project setting. If this checkbox is ticked, a dialog box will pop up in a predefined time interval, according to the number of minutes set by the user. In the previous section, we have seen the method for creating project via the Agent. 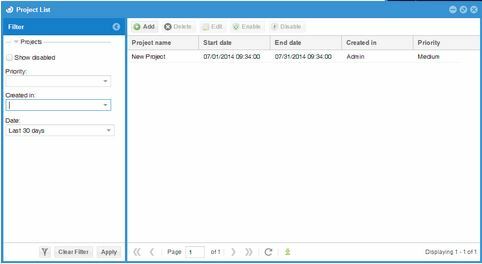 Projects can also be created via the EasyAdmin Add project window. Users and user groups may be assigned to the project upon its creation, via the Users and Groups tabs. After configuring these items, click Save. The new project would be apparent in the Projects list window. In order to access this window, follow this path: EasyAdmin Start → Users and Permissions → Project List. 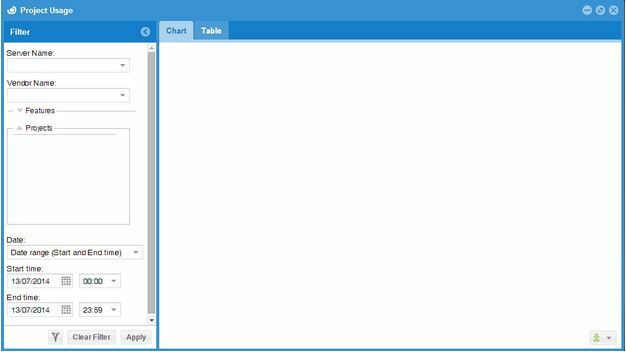 The left pane serves as a filter for projects to be shown on the list on the right pane. The Priority drop-down list presents Low / Medium / High priority levels. The right pane consists of a list of the existing projects, and an action bar at the top. Click the top bar icons to add a new project, delete a selected project, Edit a selected project’s properties, Enable or Disable a selected project. After creating a project, it is time to affix users or user groups to the different projects, according to organizational preferences. In order to do so, highlight the target project, and click Edit. Select the Users or Groups tab in the New Project window. Then select the User or Group that would be attached to the project, and click Add.